All payments are processed securely through STRIPE or PAYPAL. We do not have access to your credit card information. This Site and the products offered on the Site are for personal, non-commercial use. All prices are expressed inclusive of any VAT payable. If charges are applicable for delivery on the products that you order, you will be informed before your order is accepted by us. On occasion, We may be unable to supply a particular item despite it being shown as in stock on the Site. We also operate a physical store so sometimes items sell out before our online store updates. If this happens, We will notify you as soon as possible. 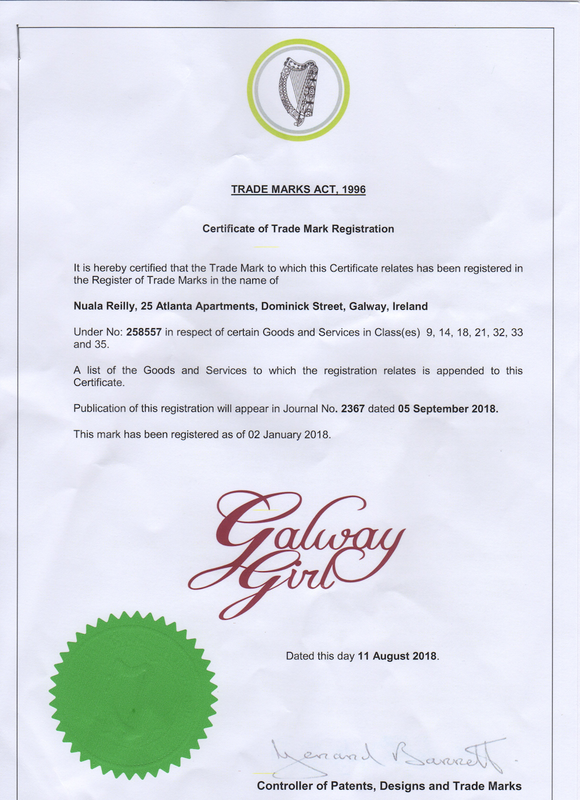 Galway Girl is a Registered Trademark.